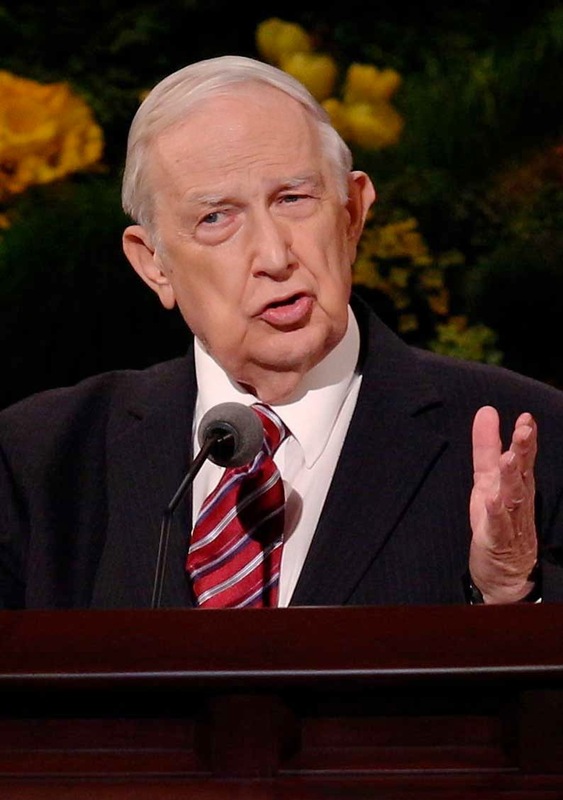 Elder Richard G. Scott (1928- ) served as a Seventy from 1977-1988, when he was called to the Quorum of Twelve Apostles. "What can you do to enhance your capacity to be led to correct decisions in your life? What are the principles upon which spiritual communication depends? What are the potential barriers to such communication that you need to avoid? "Father in Heaven knew that you would face challenges and be required to make some decisions that would be beyond your own ability to decide correctly. In His plan of happiness, He included a provision for you to receive help with such challenges and decisions during your mortal life. That assistance will come to you through the Holy Ghost as spiritual guidance. It is a power, beyond your own capability, that a loving Heavenly Father wants you to use consistently for your peace and happiness. "I am convinced that there is no simple formula or technique that would immediately allow you to master the ability to be guided by the voice of the Spirit. Our Father expects you to learn how to obtain that divine help by exercising faith in Him and His Holy Son, Jesus Christ. Were you to receive inspired guidance just for the asking, you would become weak and ever more dependent on Them. They know that essential personal growth will come as you struggle to learn how to be led by the Spirit. "What may appear initially to be a daunting task will be much easier to manage over time as you consistently strive to recognize and follow feelings prompted by the Spirit. Your confidence in the direction you receive from the Holy Ghost will also become stronger. I witness that as you gain experience and success in being guided by the Spirit, your confidence in the impressions you feel can become more certain than your dependence on what you see or hear." I found this to be a very helpful and insightful talk, reviewing "the principles upon which spiritual communication depends" as well as "the potential barriers to such communication." Develop "a principle of revelation"
And then one of the great keys to that process: "...never to arise in the morning without bowing before the Lord, and dedicating myself to him during that day." Learning to hear the whisperings of the Spirit when faced with "decisions that would be beyond your own ability to decide correctly" is one of the great keys to this mortal experience. Elder Scott points out that there is no simple way to develop that communication. If it came to easily, we would be "weak and even more dependent on Them" — and part of the purpose of this life is to learn to make choices in our own personal struggles. But yet Divine guidance "is a power, beyond your own capability, that a loving Heavenly Father wants you to use consistently for your peace and happiness." So they key is to "consistently strive to recognize and follow" the promptings that come. Labels: Holy Ghost, inspiration, revelation, Scott Richard G.